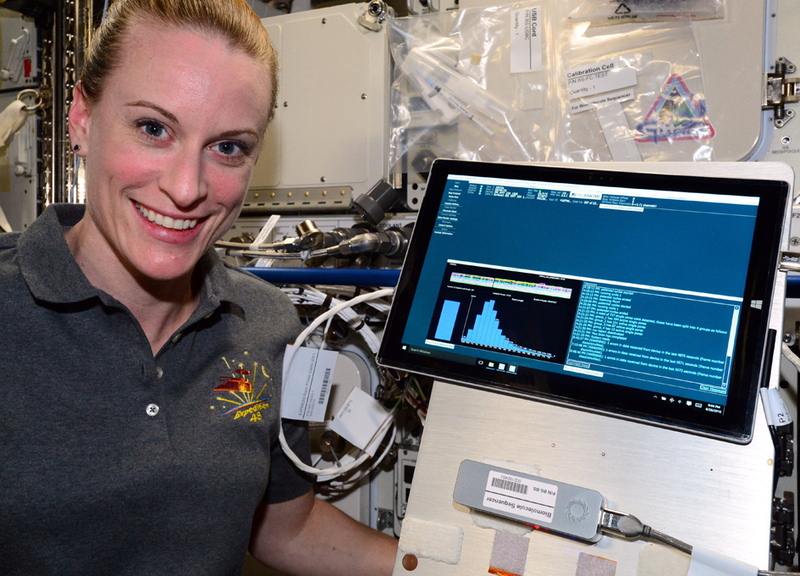 For the first time ever, DNA was successfully sequenced in microgravity as part of the Biomolecule Sequencer experiment performed by NASA astronaut Kate Rubins this weekend aboard the International Space Station. The ability to sequence the DNA of living organisms in space opens a whole new world of scientific and medical possibilities. Scientists consider it a game changer. DNA, or deoxyribonucleic acid, contains the instructions each cell in an organism on Earth needs to live. These instructions are represented by the letters A, G, C and T, which stand for the four chemical bases of DNA, adenine, guanine, cytosine, and thymine. Both the number and arrangement of these bases differ among organisms, so their order, or sequence, can be used to identify a specific organism. The Biomolecule Sequencer investigation moved us closer to this ability to sequence DNA in space by demonstrating, for the first time, that DNA sequencing is possible in an orbiting spacecraft. With a way to sequence DNA in space, astronauts could diagnose an illness, or identify microbes growing in the International Space Station and determine whether or not they represent a health threat. 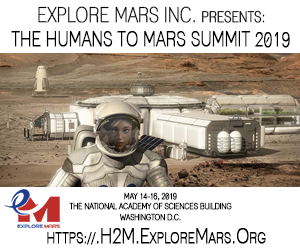 A space-based DNA sequencer would be an important tool to help protect astronaut health during long duration missions on the journey to Mars, and future explorers could also potentially use the technology to identify DNA-based life forms beyond Earth. The Biomolecule Sequencer investigation sent samples of mouse, virus and bacteria DNA to the space station to test a commercially available DNA sequencing device called MinION, developed by Oxford Nanopore Technologies. The MinION works by sending a positive current through pores embedded in membranes inside the device, called nanopores. At the same time, fluid containing a DNA sample passes through the device. Individual DNA molecules partially block the nanopores and change the current in a way that is unique to that particular DNA sequence. By looking at these changes, researchers can identify the specific DNA sequence. Rubins, who has a background in molecular biology, conducted the test aboard the station while researchers simultaneously sequenced identical samples on the ground. The tests were set up to attempt to make spaceflight conditions, primarily microgravity, the only variables that could account for differences in results. For example, the samples were prepared on the ground for sequencing and researchers selected organisms whose DNA has already been completely sequenced so that they knew what results to expect. Using the device in the microgravity environment introduces several potential challenges, according to Aaron Burton, NASA planetary scientist and principal investigator, including the formation of air bubbles in the fluid. On Earth, bubbles rise to the top of a liquid solution and can be removed by centrifuge, but in space, bubbles are less predictable. "In space, if an air bubble is introduced, we don't know how it will behave," said Burton. "Our biggest concern is that it could block the nanopores." 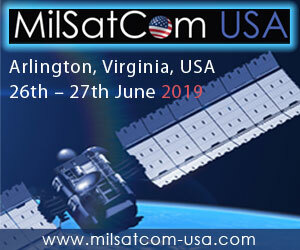 The technology demonstration also seeks to validate that the device is durable enough to withstand vibration during launch and can operate reliably in a microgravity environment when it comes to the measurement of changes in current or the conversion of those changes into DNA sequences. In addition, researchers will be looking for any other factors that could produce errors or impact performance on orbit. "Those are just the potential problems we've identified," said project manager and NASA microbiologist Sarah Castro-Wallace. "A lot of the things that might introduce errors are simply unknown at this point." To minimize those unknowns, researchers recently tested the entire sequencing process on a NASA Extreme Environment Mission Operation, or NEEMO, in the Aquarius Base research facility 60 feet underwater off the coast of Florida. "The NEEMO tests went smoothly," Castro-Wallace said. "In terms of a harsh environment, with different humidity, temperature and pressure, we looked at a lot of variables and the sequencer performed as expected." NEEMO aquanauts collected environmental samples from the habitat, extracted and prepared the DNA for sequencing, and finally sequenced the DNA as part of a continuation of the Biomolecule Sequencer investigation. Testing this sample-to-sequencer process in an extreme environment is an important step towards its use on the ISS. 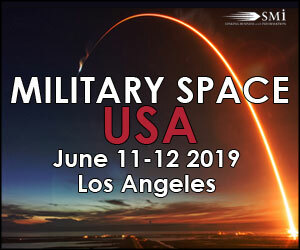 The investigation team includes others at NASA's Johnson Space Center, Goddard Space Flight Center and Ames Research Center, as well as partners at Weill Cornell Medical College and University of California at San Francisco. As the researchers compare results from the sequences collected in microgravity and on Earth, so far everything seems to match up. "A next step is to test the entire process in space, including sample preparation as well as performing the sequencing," said Castro-Wallace. Then astronauts can move beyond creating a known DNA sequence and actually extract, prepare and sequence DNA to identify unknown microbes on orbit. "Onboard sequencing makes it possible for the crew to know what is in their environment at any time," Castro-Wallace said. "That allows us on the ground to take appropriate action - do we need to clean this up right away, or will taking antibiotics help or not? We can resupply the station with disinfectants and antibiotics now, but once crews move beyond the station's low Earth orbit, we need to know when to save those precious resources and when to use them." In addition, the sequencer can become a tool for other science investigations aboard the station. For example, researchers could use it to examine changes in genetic material or gene expression on orbit rather than waiting for the samples to return to Earth for testing. "Welcome to systems biology in space," said Rubins after the first few DNA molecules had been sequenced successfully. She went on to thank the ground team for their efforts. "It is very exciting to be with you guys together at the dawn of genomics biology and systems biology in space."